Chloe Shevlin, Blake Roberts and Sean Noel, all seniors at Hilliard Davidson High School in Ohio, spent an entire year working on a wheelchair design for Jimmy, who belongs to a teacher at a nearby elementary school. Susan Montgomery, Jimmy's owner, became concerned about the cost of a canine wheelchair (upwards of $600) around the same time she received an email from Shevlin, who learned about Jimmy from her younger brother and volunteered to make the dog a wheelchair. 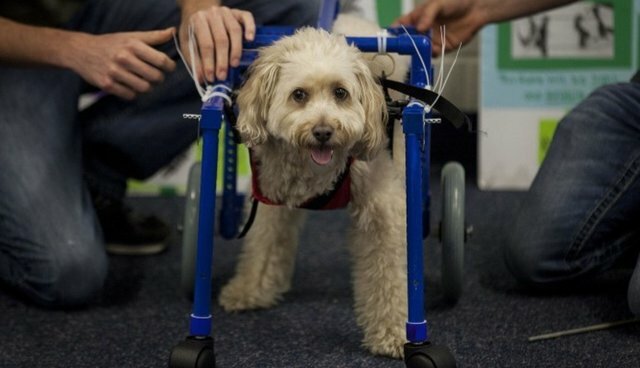 The group studied dog-wheelchair companies and sought advice from a veterinarian at MedVet Medical and Cancer Center for Pets, asking about benefits and flaws in existing products. 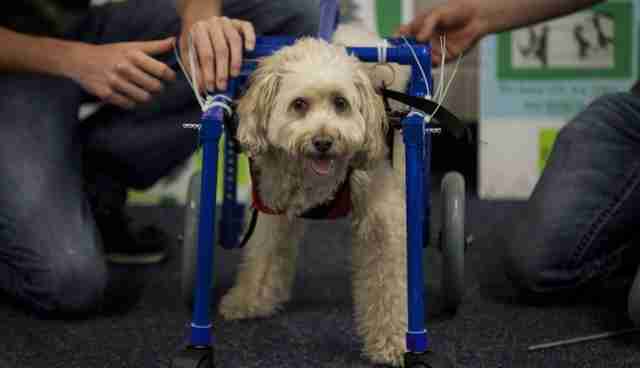 They connected with a bioengineer at the University of Louisville, who helped develop a wheelchair design for paraplegic dogs using items commonly found at a hardware store. They also appealed to Norwich students for help in purchasing parts. In two weeks, they raised about $650.